2.2 Southern New Hampshire University – Hooksett, N.H. Continuing education has become one of the most effective and affordable ways of improving your career. As education continues moving online, you have a golden opportunity to take advantage of this technology that wasn’t available 20 years ago. Penn Foster is a self-pasted online accounting program which grants certifications to those looking to move into new jobs and others looking to refresh their knowledge as well as entrepreneurs looking to improve the performance of their businesses. All credits earned via the accounting certification program are transferable to their accounting degree program, which offers student an Associate Degree in Accounting. By the end of the program you’ll be able to demonstrate to potential employers that you’re a detail-orientated worker with a sharp eye and a knack for checking things twice as these are the type of skills heavily enforced by Penn Foster’s curriculum. Though prices can start as low as $49 per month, interested students are encouraged to contact Penn Foster as they handle tuition on a case-by-case basis. Southern New Hampshire University – Hooksett, N.H.
SNHU seeks to provide its students with the capabilities necessary to acquire entry-level accounting positions. This online accounting certification can be taken either online or on campus however, the curriculum doesn’t change. Either of these two options will provide you with the necessary skills to apply your accounting expertise to just about any industry. All graduates of this certification program will immediately be able to confidently showcase their newly found accounting skills. These skills include using cost and managerial accounting, interpreting advanced financial statements and a strong command of best accounting practices and procedures. The accounting certification program offered by UC Davis promises to increase your skills and abilities as a managerial accountant. This is because their program, geared specifically towards managerial accounting, greatly broadens your working knowledge of financial analyses and other advanced fiscal processes. UC Davis believes it is important that graduates of their program be highly trained and ready for real word employment because as they’ve mentioned on their official website, nearly one-trillion (no that’s not a typo) dollars was lost in 2007 by large companies in the U.S. alone due to fiscal mismanagement. 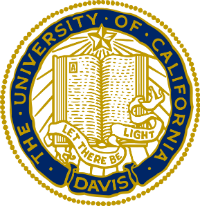 For this reason UC Davis aims to provide their students with the highest level of accounting education possible. 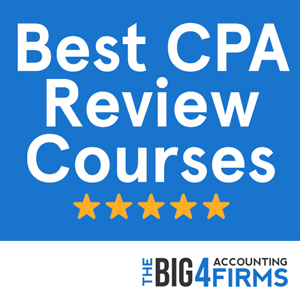 What is good about this certification is the fact that many of the courses required to complete the program are the same courses required to sit for the CPA exam. This means you can essentially kill two birds with one stone by attending UC Davis not to mention the affordability, they estimate the full program will cost in-between $4,600 – $5,000 and can usually be completed in roughly one-year. This prominent New England school located in lovely Boston, Massachusetts states on their website that their accounting certification program is aimed at individuals coming from backgrounds which are wholly unrelated to accounting. This program allows people to quickly get up-to-date with all topics necessary for basic and intermediate accounting task and processes. These skills and more are all taught in a way which allows students to better grasp the most important points being taught. 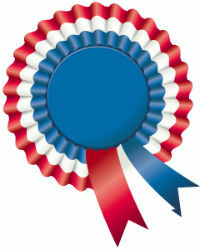 You are expected to complete 24 hours worth of credits for this certification. This means that it’ll cost an estimated $9100 to complete, as cost per credit hour is roughly $380. Most of the certification programs mentioned so far don’t require any prerequisite skills or achievements however, at Linfield College you must already be a college graduate in order to apply to their accounting certification program. This certification has a strong emphasis on government, corporate, non-profit and public accounting. They go on to boast about how their certifications better positions its students to successfully fill roles such as tax preparers, auditors, credit analyst agents, collectors, revenue agents, and more. Tuition for Linfield College’s accounting certification program is handled on a case-by-case basis. For this reason it is best to contact the school for more accurate pricing information. However, it should be noted that financial aid is available to those in need. PU’s Malcolm Baldrige School of Business offers a similar accounting certification program to Linfield College’s in that you must already possess a Bachelor’s degree to be admitted. Once you’ve met this requirement you’re then eligible to become a Post University accounting certification student. Students enrolled in this renowned certification program are exposed to a majority of the same topics covered in undergrad accounting programs. For this reason PU is an excellent choice for students coming from undergrad programs unrelated to accounting as well as accounting professionals seeking a refresher or updated information on the field. This online program is open to students in all U.S. states except Arkansas and Rhode Island. According to the official website tuition for the 2014 – 2015 year came in at $570 per credit hour. Rasmussen offers accounting certifications to students seeking to advanced their accounting knowledge and knowhow. This school is divided into dozens of real life campuses as well as the online campus and has just over 13,000 students enrolled nationwide. Along side these fundamental accounting classes include math heavy courses, which will better prepare students for the practical math skills necessary to be successful at accounting. Expect to pay somewhere around $12,000 for this certification program as it requires 39 hours worth of credits. The cost per credit hour is around $310. UCB offers its students a comprehensive, yet affordable accounting certification program. Offered by the world famous Haas School of Business, this program focuses on providing its students with the education necessary to thoroughly understand all fundamental principles of accounting. This rather small online and on campus course packs a big punch for its size. Not only do you get the prestige that goes along with being granted a certificate of completion from a big name school but you’re also provided with a high quality education which is virtually unmatched by other certification programs. Perhaps what is best about UC Berkley is the availability. Unlike other, more expensive yet lesser-known schools, UCB doesn’t require students enrolling in this program to have a Bachelor’s degree. In order to be granted this certification students must pass all required courses with a letter grade of ‘C’ or better however, students seeking a Certificate with Distinction should strive for a combine course GPA of 3.7 or higher. Overall, this program makes the list due to its name recognition and the extremely low tuition price of roughly $6,900 for the entire program. U.S. News, which is known for its respectable list of the top colleges in the United States, has ranked many of GMU’s business programs at the top of their list for many years now. This means that any student seeking to attend this esteemed program is sure to get a quality education. According to their official website, GMU’s online accounting students should already possess a Bachelor’s degree although the major is unimportant. 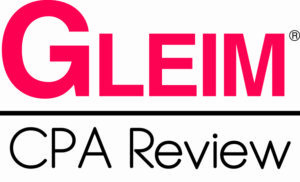 This certification is mainly focused towards individuals without accounting backgrounds who would like to sit for the CPA exam. By completing this 30 credit hour certification program you’re sure to cover all of the necessary topics needed to successfully pass this exam. While a letter grade of a ‘C’ is required for most classes, other more important classes such as the managerial and cost accounting as well as the accounting information systems classes require at least a ‘B-‘. Students seeking further information are encouraged to contact the school directionally as they will be able to better answer questions about tuition, financial aid and other questions that may arise. Champlain College offers students the opportunity to study for their A.S and B.S degrees as well as a standalone certification in accounting. Champlain claims to give their students the edge by providing a more personalize approach to online learning. They also boast about a ‘near perfect’ success rate for students who sit for the CPA exam after completing the rigorous business and accounting courses that they offer. The skills learned throughout these courses will prove to be infinitely beneficial as you seek out new job opportunities in the accounting field. This is true because no stone is left unturned, virtually all areas which are critical to accounting are covered in great detail and students are able to walk away from the program confident in their newly found skills. Tuition at Champlain College is just over $600 per credit hour. When it comes to name recognition not many schools on this list can top UVA. This prestigious university was started in 1819 by former US president Thomas Jefferson. Since its modest beginnings, UVA has blossomed into one of the foremost business and law schools in the entire country. The instructors of these courses wholly understand that accounting is the backbone of every successful business regardless of industry. This certification has a strong emphasis on commercial law, taxation, and corporate accounting and prepares students to pass the Certified Public Accountant exam once the entire program is complete. Even if students only enroll in 2 classes per term this certification can be earned in less than two-years making it the idea choice for busy professionals or working parents seeking to advance or change their careers. This accelerated online accounting certification program is geared toward beginner and mid-level accounting professionals looking to either break into the industry or expand their employment opportunities. The tough courses offered at BUonline aren’t for the faint of heart. They are design to expose you to as much accounting material in as short a time as possible. For this reason attendees of this program should be willing to commit to several semesters of demanding classes and ample homework. However, fret not because according to the schools official website job outlook for graduates of this program looks great. Students with the type of accounting expertise taught at BUonline can obtain decent paying jobs as payroll accountants, government auditors, tax advisers, and professional financial analyst. Before graduating with your accounting certification students at this university are required to possess a Bachelor’s degree from an accredited institution and pass all required courses with a combine GPA of 2.5 or better. Kaplan’s reputation as a premier online education platform has been gaining a lot of traction in recent years. This program introduces students to a vast assortment of accounting topics geared towards mid-level positions. At a price of $460 per credit hour and a minimum of 16 credits required you should expect tuition to hover around $7300 for the complete program.